REMOTE is Akin’s new dedicated exhibition and programming space at 568 Richmond Street West. 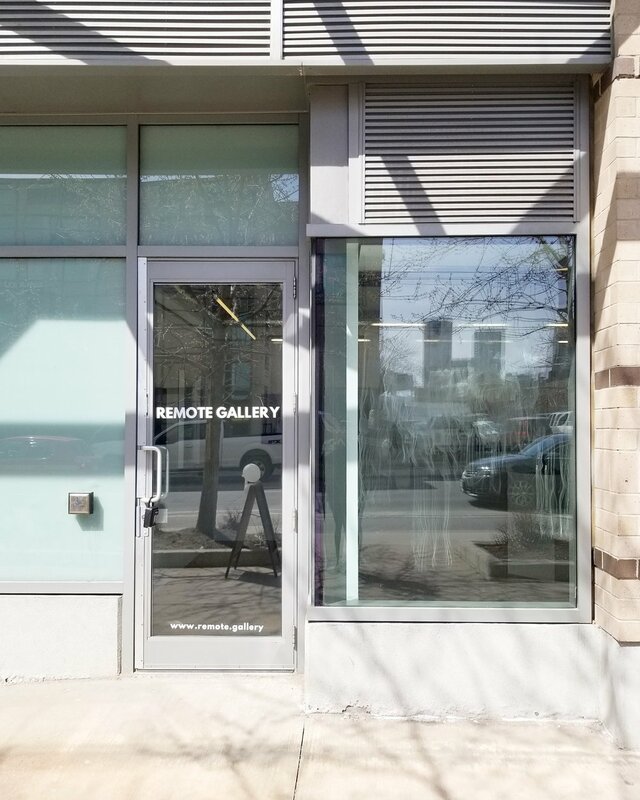 REMOTE will provide opportunities for artists and members of the public to rent low-cost space for exhibitions and programming of all kinds. This multi-use space will be available for workshops, presentations, meetings, and community events as well as exhibitions, performances and other artistic programs. A huge thank you to the Toronto Arts Council for their collaboration on this space, without whom this would not have been possible. Special thanks also to our friends and collaborators Neighbourhood Arts Network and Toronto Employment and Social Services’ Art Connections program. Please note that artists are responsible for providing gallery attendants for their exhibitions, and planning any associated events and receptions. Additional staffing and promotion available. Contact us to learn more. To inquire about REMOTE space rentals, please email gallery@akincollective.com to discuss availability and pricing. Please include a brief description of your exhibition or idea, the dates you are looking at, and any other pertinent information in your inquiry. We aim to make our space rentals as financially accessible as possible and look forward to hearing your ideas! Akin will be prioritizing Toronto’s newcomer artists, the Toronto Arts Council’s Equity Priority Groups and Akin’s current members for rentals of the space, but everyone is welcome to inquire!